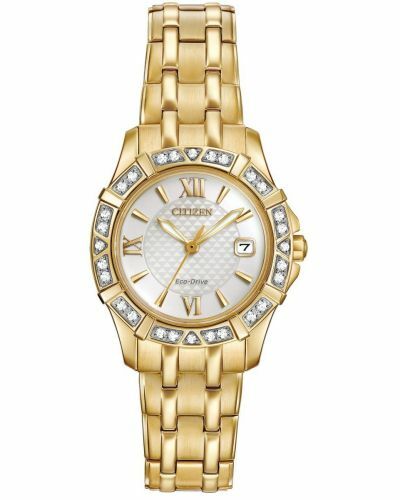 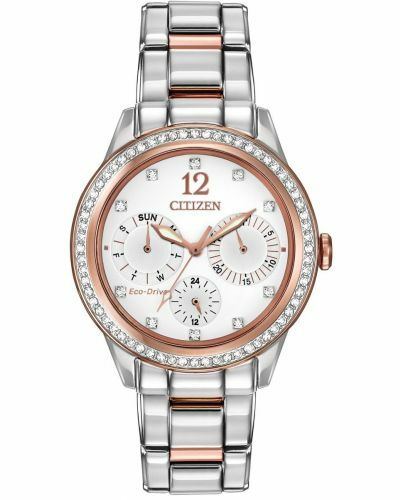 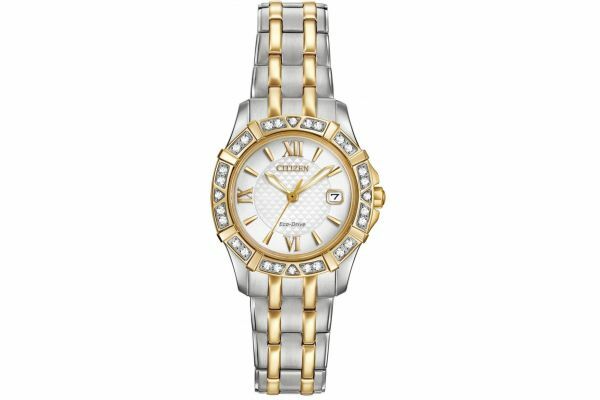 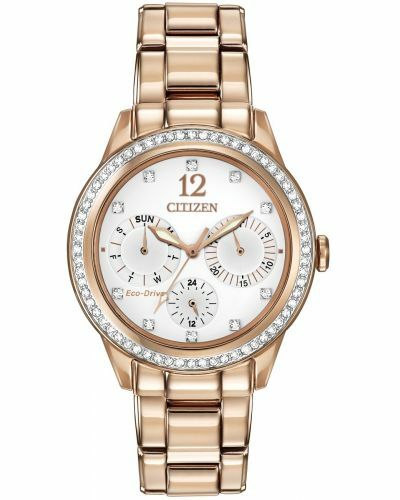 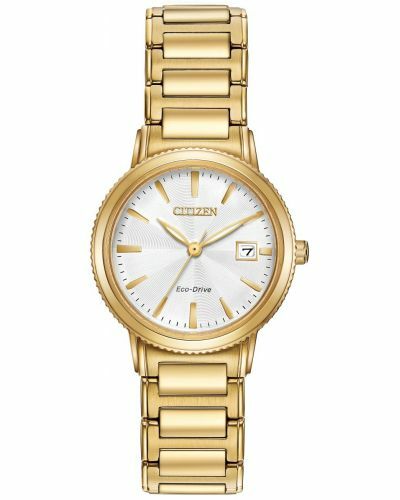 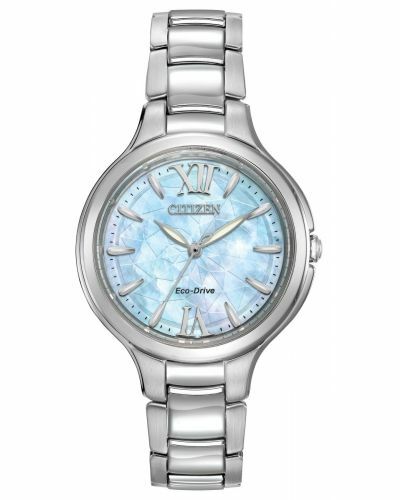 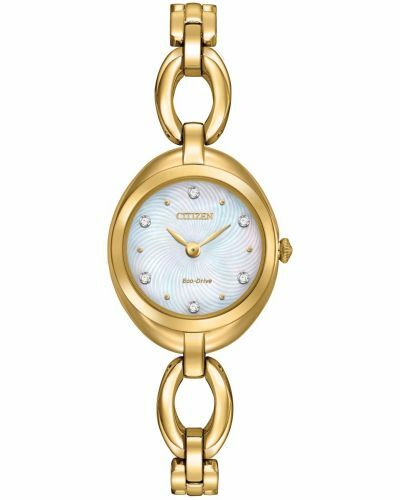 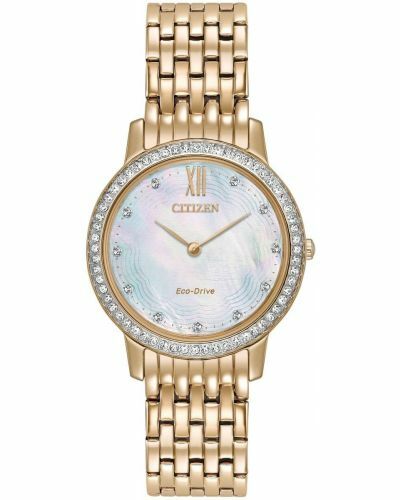 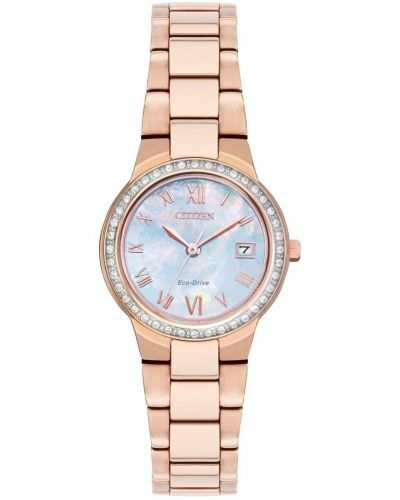 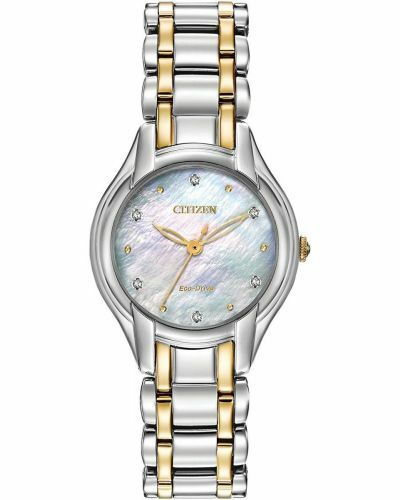 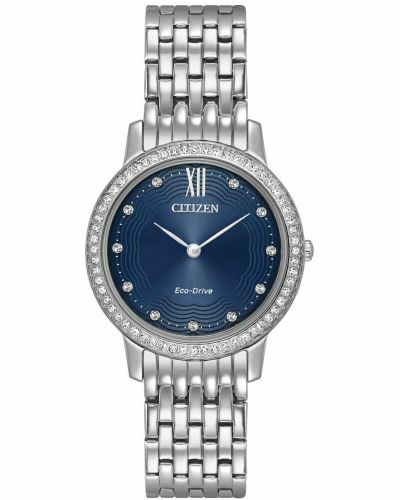 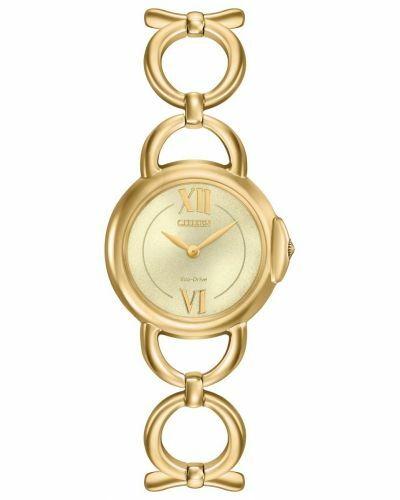 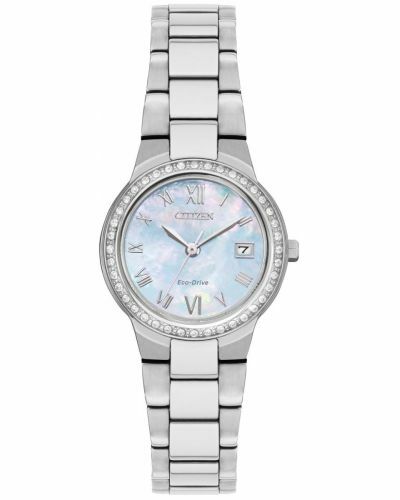 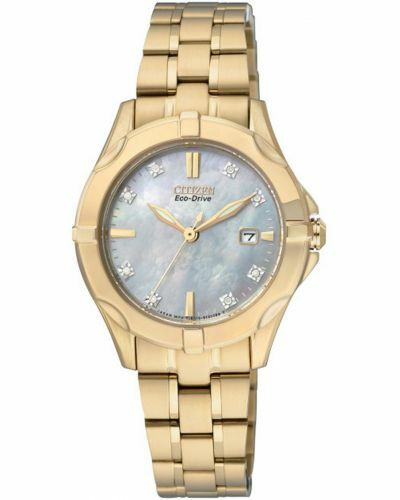 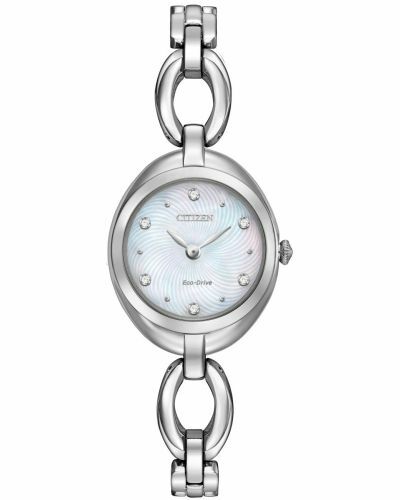 This stunning womens watch from Citizen is part of the Silhouette Diamond collection and contains 28 hand set diamonds around the bezel for unrivalled glamour. 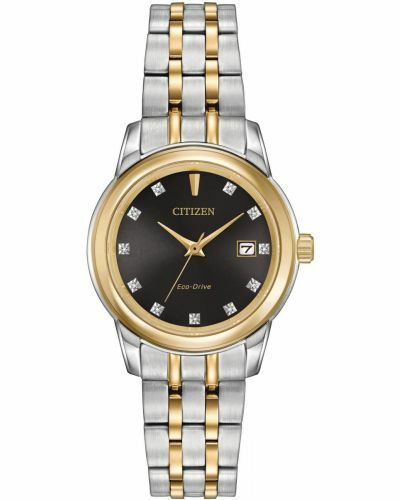 The stainless steel bracelet has a two tone finish with PVD yellow gold plating. 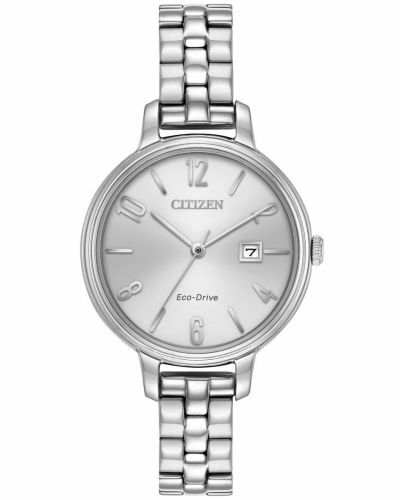 The dial is clear with futher gold tones throughout and the date at the 3 o'clock position. 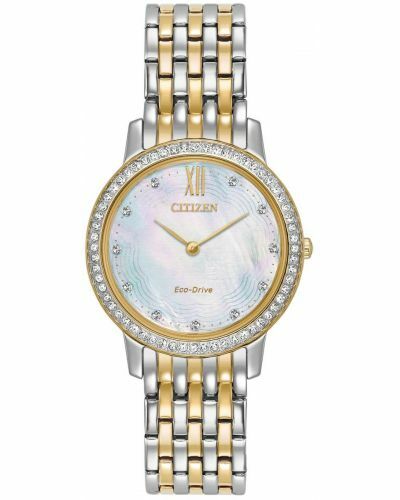 This watch is powered by Citizen's Eco Drive Technology and comes with a 5 year guarantee with optional extended cover.